Jean died peacefully in Miami on September 3. 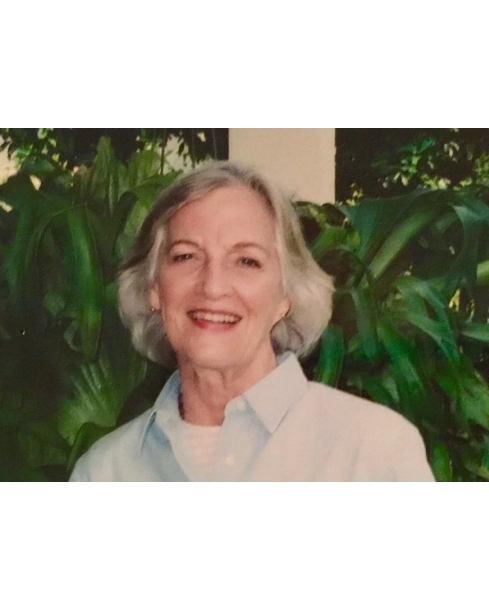 A longtime Miami resident, Jean was a prize-winning writer and editor of Sea Frontiers magazine, with the University of Miami International Oceanographic Foundation. Former President of Women in Communications, South Florida Chapter. Jean was born and raised in St. Louis, MO, the first of four children of William and Josephine Tilden, an architect and a weaver, respectively. Following WWII, she met and married photographer and designer Robert (Bob) Dale Hall. The couple lived in Chicago, Los Angeles and San Francisco. She was deeply saddened when he died early from a heart attack. Jean loved the Everglades, the ballet, traveling, art museums, theatre, the smell of bookstores, tea, sewing, literature and chocolate. She will be remembered for her grace, gentle manner, sharp, quick wit, and love of all things Bauhaus. Jean is predeceased by her brothers William Tilden III, and Thomas Tilden. She is survived by daughters Susan Hall Weber (Robert) and Robyn Hall Hardeman (David); grandchildren, Chelsea Weber Stewart, Ashley Weber Huff, Nicholas Hardeman and Craig Hardeman; her brother Robert Tilden (Cecilia); nieces, Linda Tilden, Katherine Tilden Maas, and Kimberly Tilden Beltran; and 4 greatgrandchildren.